Is it a Good Idea to be in Touch with your Ex even after your Break up? No one wants to end a relationship in which they have invested so much of their time and efforts. 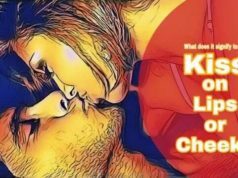 But the bitter truth is that ‘nothing lasts forever’ and even the modern day so-called ‘couple goals’ have to face their share of trauma of separation from their loved one. The main struggle lies in deciding whether to be in touch with your ex or not. 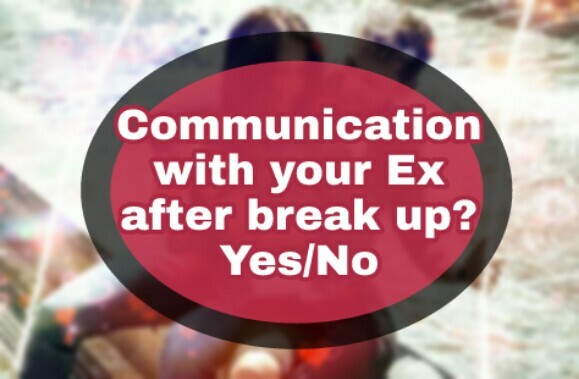 Majority of people tend to avoid encounters and curb communication with their exes after their break up. Love, in its initial stage brings all the happiness, surprises, excitement and all other positive emotions two persons can experience together. The more beautiful the beginning of love is, the more tragic end it has to face. 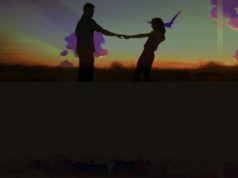 While entering into a new relationship with all new promises and experiences to look forward to, no one imagines about the day when they have to part ways with the one they loved so much. No one wants to end a relationship in which they have invested so much of their time and efforts. 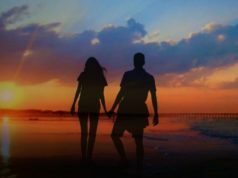 But the bitter truth is that ‘nothing lasts forever’ and even the modern day so-called ‘couple goals’ have to face their share of trauma of separation from their loved one. After break up, all hell break upon them and they have to face it without the one who was their only solace at one point of time. Going through all the highs and lows of your days without sharing them with the one who was earlier the first one to know about them or not hearing their voice or laughter that used to brighten up your day like nothing else or just accepting the fact that they are no longer yours are few gifts of a traumatic break up. With all of these struggles, the main struggle lies in deciding whether to be in touch with your ex or not. Majority of people tend to avoid encounters and curb communication with their exes after their break up. Are they right in doing this, let’s find out. Blocking each other is the first thing that couples, specially young couples, do after their break up. What they fail to understand is that doing so makes them miss each other even more, because it is impossible to suddenly block someone out of your life who meant so much to you. You just can’t block all the ways of reaching out to them and think you will be okay because the truth is YOU WILL NOT BE OKAY. You will cry, you will cry a lot, you will want to run to them but the sooner you accept the fact that it’s over the better it will be for you. Instead of blocking them at once and creating a wall in a moment, wise option would be to take baby steps in the process of forgetting them and construct a wall brick by brick. Moving on is a very misunderstood concept, it is often confused with getting into a new relationship or falling in love again. This misapprehended concept makes people take silly decisions which lead to nothing but regret. In actual, moving on means, getting over your ex, i.e when you 100% accept the fact that you guys are no longer a part of each other’s lives and considering this fact, you are happy in your own life. You will receive a lot of such advises where you’ll be told that if you want to move on then the only way possible is by breaking all ties with your ex, which is so not true. Moving on has nothing to do with your ex, but it has everything to do with your mind-set. So, instead of focussing on curbing communication, it is advisable to focus on yourself. Explore yourself, go on a holiday, do the things you have been wanting to do for long but couldn’t get time, take classes to learn a new skill etc.. and you will soon begin your new life with a better version of yourself. You can’t always act so mature and do all the wise things. Because the fact is no matter how hard you try or how much happy you’re in your current life, seeing your ex with someone else bothers you and even more if you both are on talking terms. Trust me, it’s alright, come on! You loved them once and seeing them with someone else might not leave you happy or may make you feel jealous, but it is okay to feel a little jealous or anticipate things unless you start obsessing over the situation. Running away from such situations is not advisable because it further worsens the situation, because faking happiness or not accepting the fact that they are happy with someone else will not make things easier for you either. However, if you are no longer in touch, you will not get updates of their lives directly from them, maybe from some mutual friends or some other source, but eventually you will get to know what is going on in their lives. So what is the point of not talking to them? – Understand and accept the fact that you guys have parted ways and you may never walk on the same path again in future. – Accept that you cannot cut them off completely from your life. Occasional chats involving wishes on birthdays are okay and are in fact good for both of you. – Avoid talking to them regularly like you used to before and make sure when you guys talk, you are comfortable. There is no hesitation or awkwardness among the two of you. – You should be in touch with your ex but up to some limit. Don’t forget to set boundaries in advance so that you don’t cross the boundary and make things awkward. – Talk to your current partner, whether they are okay in you being in touch with your ex and don’t let your past relationships affect your current relationship. At last, being in touch with your ex or not is totally your call!! Do whatever works for you to overcome the grief of break up. After all, being happy is the end goal. Previous articleAre the Government’s Zero Balance Accounts Helping the Beneficiaries?